Can one save up to $160 a year by peeing in the shower? Ok, this claim just came across Facebook -- that one can save $160USD by peeing in the shower. Certainly, peeing in the shower is both more green and will in fact save water, especially if you let the urine go down drain using gravity rather than water. 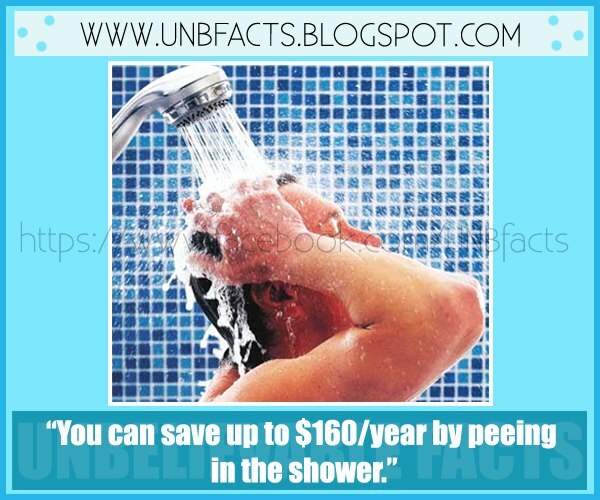 However, what kinds of parameters would have to be true to save $160 a year by urinating in the shower? At $160/yr of savings, I may very well just ask all of my guests to urinate in the shower instead. This claim just sounds unreal. Water is cheap. In the UK 1 cubic meter of water (1000 litres) costs around £1.45. So even if you could save 20,000 litres of water by peeing in the shower that would only be £29, which at current exchange rates is about $50. Can freezing make water cleaner? Can we find water with wood sticks?